On March 2, 2004, the Madison Common Council, by an 11-5 vote, adopted a resolution sponsored by 6th district alder Judy Olson and 7 other alders declaring March 14-21, 2004 Madison Medical Marijuana Awareness Week and calling upon the people of Madison to observe this week with appropriate programs and activities. The resolution was drafted by Judy Olson and IMMLY's Gary Storck. IMMLY and Madison's Progressive Dane Drug Policy Task Force than combined forces to create live events and media presentations to mark the week. Jacki Rickert spent much of the week in Madison, joining Gary Storck as guests on Stu Levitan's radio show, "Madison Tonight" on WIBA-AM on Tuesday night March 16. 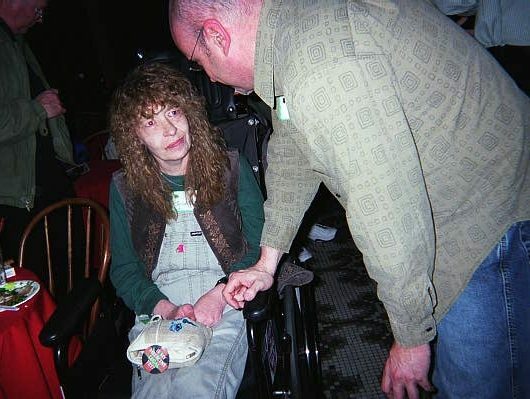 On Wednesday March 17, Jacki and Gary attended a fundraiser for Rep. Frank Boyle (D-Superior), a sponsor of a number of Wisconsin medical marijuana bills at the Cardinal Bar in Madison. On Thursday March 18, from 7-9 PM. WYOU-TV Madison Cable Access Channel 4. Digital Connection with Luciano aired footage from the "Illuminating Reality" Conference sponsored by UW-Madison SSDP from Sunday April 29th, 2001: Panel 4: Therapeutic Uses of Cannabis Sativa panel discussion moderated by Barb Vedder and featuring Dr. David Edwards, Washington Hemp Education Network, Jacki Rickert, Is My Medicine Legal Yet?, Gina Dennik-Champion, President, Wisconsin Nurses Association and Rep. Mark Pocan (D), Wisconsin State Assembly. 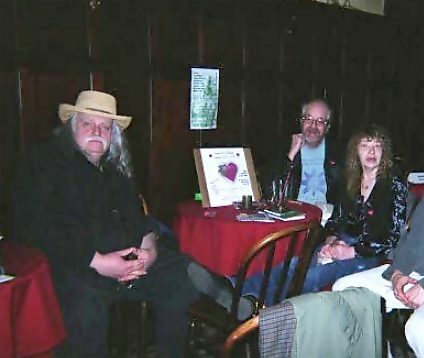 On Friday March 19, also at the Cardinal, there was an IMMLY Benefit/ cd release party for Rick Harris' new cd, Jukebox Refugee, which includes his song, "Legal Medicine Blues", which was inspired by Jacki. Finally, on Sunday March 21, from 11AM-1 PM, the week closed with a medical marijuana film festival and panel discussion. The event was held in the Beefeater Room at the UW-Madison Memorial Union. Panelists included Rep. Mark Pocan (D-Madison), Jacob Davis, former president UW-Madison SSDP, and IMMLY's Jacki Rickert and Gary Storck. Madison Alder Judy Olson, had also been scheduled but had to cancel due to a death in the family.